Congress has continued to resist aspects of Obama's plan to close the prison at Guantanamo Bay and transfer at least some of those prisoners to the U.S. for trial or prolonged detention. Faced with a gloomy outlook for new congressional authority to detain terror suspects, the Obama administration appears to be considering issuing an executive order to govern the indefinite imprisonment of alleged Al Qaeda operatives, analysts said. The focus on a unilateral action by President Barack Obama reflects a political dynamic on Capitol Hill that may render legislation on long-term detention unattainable. On Friday, White House spokesman Ben LaBolt denied a published report that a possible executive order had been drafted. However, he and other officials did not dispute that such an order was one of the options being considered by a task force Obama created to review detention policy. Its recommendations are due next month. "There is no draft executive order," said LaBolt. "The task force has not finished its work on these issues." In a joint report published Friday, the Washington Post and a nonprofit investigative journalism group, ProPublica, said three unnamed senior government officials confirmed to them that such an order is being drafted (a step back from when the report was first published, at which point it said the order had already been drafted). The outlets also said some officials were now concerned that Obama would not meet the deadline he set to close Guantanamo by next January. The report added that the administration "has turned away" from the possibility of pushing Congress to approve legislation to authorize a new national security court to oversee the detention of alleged terrorists who cannot be tried for specific offenses. In a speech last month, Obama discussed the possibility of a preventive detention system for alleged Al Qaeda operatives. However, he seemed to indicate that he would pursue legislation to achieve that goal. "My administration will work with Congress to develop an appropriate legal regime so that our efforts are consistent with our values and our Constitution," Obama said in his May 21 speech at the National Archives. 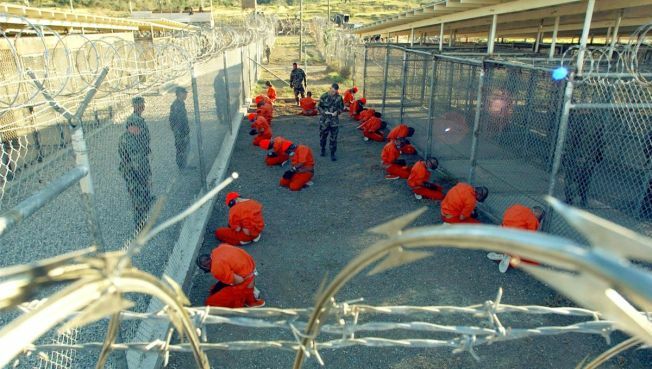 However, since that time Congress has continued to resist aspects of Obama's plan to close the prison at Guantanamo Bay and transfer at least some of those prisoners to the U.S. for trial or prolonged detention. An appropriations bill Obama signed Wednesday contained language requiring advance reports to Congress before any transfers of prisoners to the U.S. Creating a new civilian court would require legislation. Analysts said Obama officials may have concluded that the events of recent weeks have shown that such a measure could not pass because it would be opposed both by a sizeable group of conservatives who oppose bringing any prisoners to the U.S. and by liberals, particularly in the House, who are philosophically opposed to such an idea. In a speech last month, Obama discussed the possibility of a preventive detention system for alleged Al Qaeda operatives – comments that drew fire from civil rights groups, who say the notion of indefinite detention is unconstitutional, because it violates a prisoner’s right to be tried for a specific offense, and not merely held in perpetuity because of a perceived security risk. "Since Obama's speech reaction from Congress has been anything but cooperative," said Matthew Waxman, a Columbia law professor and former State Department attorney handling detainee issues. "Congress.responded with a series of efforts that could restrict the president even from fulfilling his basic pledge of closing Guantanamo within a year. It may be since that speech the White House has grown more skeptical about its ability to craft a workable solution with Congress.. There's very little middle ground for consensus in the short term." Obama could act unilaterally to set up a new military review system abroad at U.S. bases in Afghanistan or other countries. But it's unclear how different that would be from a Bush-era invention, Combatant Status Review Tribunals, which were widely criticized for lacking due process. The Washington Post/ProPublica report also said an administration official asserted that civil liberties groups had signaled that they would prefer the executive order option to legislation because the presidential order would be viewed as less permanent. Several civil liberties groups contacted by POLITICO disputed giving any indication to the administration of a preference for an executive order. "Indefinite detention is unnecessary and unconstitutional," said Jonathan Hafetz of the American Civil Liberties Union. "If it were done by executive order it would be unconstitutional for an additional reason besides due process: as a violation of the separation of powers." "Prolonged imprisonment without trial is exactly the Guantanamo system that the president promised he would shut down," said Shane Kadidal of the Center for Constitutional Rights. "Whatever form it takes, whether it's authorized by Congress or the president, it's likely to be found unconstitutional by the courts. And it simply encourages practices that. produce a tremendous amount of ill will from communities and governments you need to cooperate with you." As a tactical matter, civil liberties groups would probably stand a better chance of winning a court challenge against an executive order, rather than legislation. Courts generally are more deferential to legislation passed by Congress and signed by the president, than to acts the president takes unilaterally.